It is important understand the depth of this support. Each of our career-technical programs convene advisory committees made up of local professionals to help develop curriculum and stay current with practices and trends within their industries. Local companies provide internship and placement opportunities for current students and alumni. Our legislators help us advance the message of career-technical education through various forums. Finally, Greene County residents have seen the value of our mission by financially supporting us in the way of tax levies. Many of you know that we are on the ballot Nov. 6 with a very important request. We seek approval of a 1.03 mill, 20-year bond issue that will fund the construction of a new Greene County Career Center. We will continue all of our current programming while adding manufacturing, engineering and information technology programs tied to the aviation and aerospace industries in the region. We are also exploring adding HVAC, dental assisting and other high-demand career pathways. During our many public appearances to speak on our levy, we have encountered some common questions. I will clarify some of these areas. Thanks to a grant from the State of Ohio, we executed a job market survey to see what career areas were being neglected. It was clear that there was a shortage of qualified workers in fields like engineering technology, robotics, cybersecurity and advanced manufacturing. Employers have been loudly proclaiming that they are losing work because of this shortage. By helping supply trained technicians, we can bolster the local economy by keeping this work in the region. Why not build on your current site? The Ohio Facilities Construction Commission inspected our main campus and reported that our 51-year-old building requires over $24 million in repairs to our plumbing, roofing, HVAC and septic systems. We cannot financially afford the repairs and still expand. The Board of Education is committed to providing more opportunities for students in our county and cannot justify the extent of the repairs on a building of that age. Can’t your students do the repairs? We train high school students who generally fall between the ages of 16 and 18. They come to us with little or no training in their career area. It is not feasible to expect our teachers and students to engineer, plan and execute a complicated $24 million renovation project to our infrastructure. Did you try other funding methods? We were exhaustive trying to find alternative funding. We were close to changing Ohio law as it relates to school construction. Career-technical centers like ours are not eligible for OFCC funding for new construction. We believe that discriminates against career-technical students across the state. Our funding bill passed through the Ohio Senate but was vetoed by Governor Kasich. We sought private funding and found that industry is willing to donate equipment, expertise and curriculum, but are not able to offer financial assistance. We believe that our request is a reasonable one with a tremendous return-on-investment. The cost to the owner of a home assessed at $100,000 is $36.05 per year or just over $3 per month. Where will the new school be built? We have secured privately-owned property at the juncture of State Route 35, State Route 68 and Union Road on the south end of Xenia. What about the current facility? By Ohio law, it must first be made available for purchase to other schools and government agencies. We believe it can be repurposed in a way that a benefits the county. We will keep the Agricultural Research Center on Brush Row Road and Equine Science will continue to be housed there. Veterinary Science will move into the new facility. Over the years, members of the Greene County Career Center board of education have served as excellent stewards of taxpayer dollars. This decision was not made in haste. Extensive research, data analysis and discussion were employed. We feel it is in the best interest of the county and future generations of students that we make this attempt to further strengthen Greene County Career Center and the area workforce. 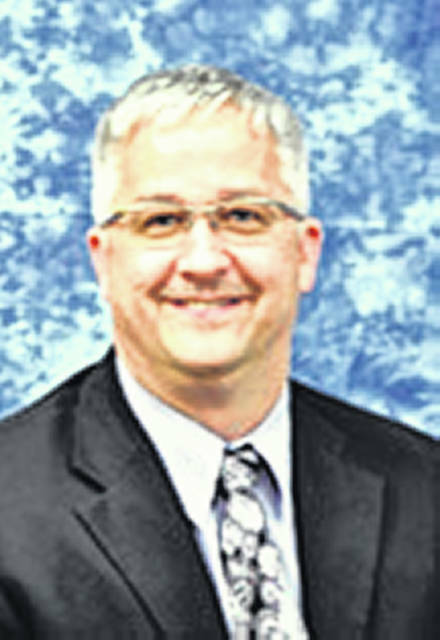 Dave Deskins is the Greene County Career Center Superintendent and guest columnist.